Well, we have just finished with Australia's premier fashion buying event Fashion exposed which was held at Darling Harbour Convention Centre in Sydney from the 11th-14th February.This is one of the most important events on the retails/e tailers buying calendar.There was over 1500 local and international companies and designers showcasing their fashion for the Spring/Summer 2012 collections.This is a trade event whereby Fashion meets business and us buyers are able to source,order and/or buy for the coming Spring/Summer 2012.It is also a great opportunity to have a look at some of the newer brands and faces that are entering the Australian Fashion market. This is one ticket many of my girlfriends would kill for as you peruse the latest trends in fashion,footwear,handbags and accessories.Sportsmagic does not branch out into the high end fashion seen at the show but is more interested in the everyday labels that interest our customers.Labels such as Ecko Unltd and Ecko MMA and Jag.We are hoping to really build our brands this year and offer a more diverse range to our customers, a range of products that is functional,practical and affordable. 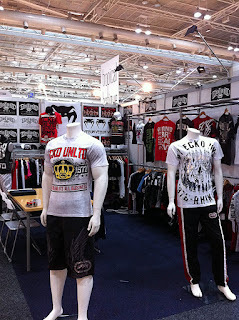 If there is any particular products or fashion labels you would like to see in our store please Email Us we would love to hear your feedback. 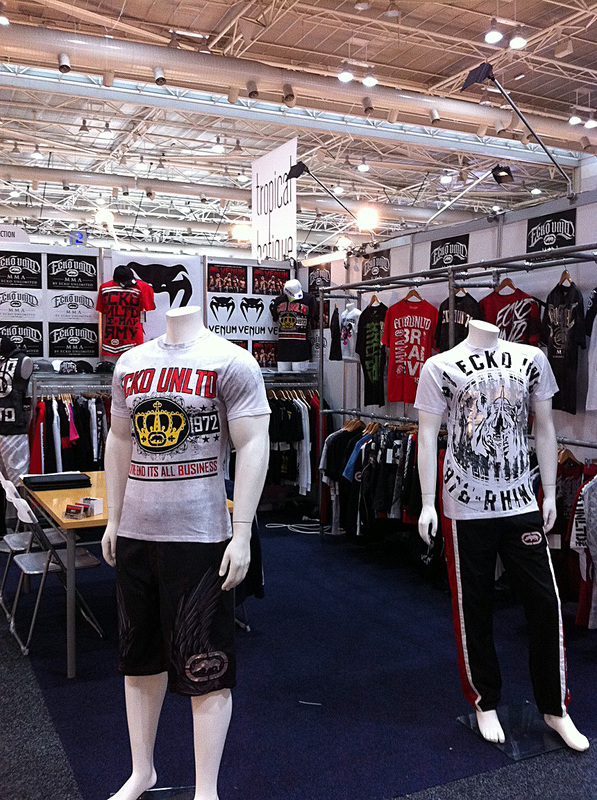 Seen here is the Ecko MMA range due for release March 2012.Keep an eye instore for the latest styles.We are also off to the to the Reed Gift Fair held again in Darling Harbour Sydney this week where will be seeing the latest in giftwares and homewares for 2012.Be sure to check our blog during the coming weeks as we will keep you updated with any new products we may discover.